With workforce demands increasing, it has become more difficult for employees to set aside time to focus on career development. Oftentimes, our schedules do not allow for an hour-long presentation on the latest trends, but we can manage a quick Google search that will provide a concise bulleted list containing the same information in a fraction of the time. Learning, in some cases, has become less about retention and more about immediate application. This is not to say that learner retention is a thing of the past. There are many instances when it is vital for learners to have a strong cognitive grasp on a specific body of knowledge. Microlearning will never replace all existing forms of education. However, when used appropriately, microlearning can reduce learner frustration and decrease time for on-the-job application. The millennial generation has been stereotyped as a job-hopping, technology-loving group that has a total disregard for traditional workplace norms. However, new research is finding that this generation isn’t so easy to classify. A millennial’s outlook on work, family and social interaction can be vastly different, depending on their age. As such, it is important not to categorize them too quickly regarding their needs for learning and development. Like their non-millennial colleagues, these individuals have little time. They are often trying to impress their boss and find satisfaction in their work, while still maintaining some type of work-life balance. They tend to enjoy a challenge and appreciate the excitement of learning new things. However, this generation tends to have a different view of how to manage the process of learning new things. They are masters of multi-tasking, and in order to reduce the “noise” of all the demands on their time, they tend to prioritize their tasks by asking “What’s in It for Me?” (WIIFM). This does not mean they are only focused on their personal agenda, but rather that they have had to develop a way to manage the demands of their time while still getting things done. The WIIFM perspective allows them to weed out superfluous information that surrounds them and focus on the key nugget of information they need to perform their next task or activity. They are a generation of efficient learners, which many of us would do well to learn from. So, knowing this, how can we as learning and development (L&D) professionals leverage their intense desire to produce while still enabling them with the knowledge and skills they need to do the job? To begin, let’s explore two use cases where microlearning could play a role in your organization, for millennials and other learning audiences, who could benefit from the bite-sized approach to delivering content. Have you ever attended a training program that spent the first hour or two going over information that you already knew? A facilitator might even acknowledge this at the beginning, saying that a general review of the content will be a good springboard for learning new information. However, how does the learner feel about that approach? Chances are they have become bored, disengaged and have turned off their “learning brain” before the facilitator even gets to the point of the training. An adaptive approach seeks to minimize disengagement by assessing upfront what learners know and where they need to fill in their knowledge gaps. There are many ways an adaptive approach can be applied to training. For the purposes of this article, let’s focus on an online adaptive platform that allows trainers to quickly identify when the learner needs additional support. One adaptive platform assesses learner’s knowledge through assessment questions that are tied to granular learning objectives, focused on a specific nugget of content. After a brief overview, the learner is immediately taken into the assessment activity. As learners move through the assessment, the platform’s algorithm determines which content the learner has mastered and which content might need further review. Learners that struggle with a particular area are then presented with micro-chunks of content that address the specific gap in their knowledge. This is appealing to learners as they are not forced to read through large amounts of content that may not apply to the concept they don’t understand. Applying microlearning in this format can keep learners engaged and reduces the total amount of time spent in the learning environment so that individuals can shift their focus back to performing their jobs. Micro-content can be shared in the form of PowerPoint slides, videos and interactive activities that are all designed to quickly eliminate confusion and enable the learner to master the skill being taught. Microlearning is not limited to video clips. Learners enjoy variety and tend to pay closer attention when learning activities vary in their cognitive demands. Consider this example: A client has an existing training program that consists of a one-hour narrated PowerPoint presentation. The learning audience, mostly millennials, has provided feedback that the training is boring, takes too much time and is not meeting their needs as a team. To address these issues, the client has decided to pursue a microlearning approach. The learning designer creates a training program that incorporates short, bite-sized learning activities that are focused on specific core concepts of the course. A short video is used to introduce each section, and additional activities are created to help learners consider the content in real-life scenarios and apply it in a safe setting. Discussion boards within the learning cohort allow learners to interact with their peers and participate in roleplay exercises. Reflection questions challenge learners to apply critical thinking skills as they digest what they have learned and consider how it can be used on the job. Finally, conversation prompts are created to facilitate one-on-one discussions between the learner and their manager. Not only will this help to facilitate learning, it also serves to strengthen the relationship between the employee and their manager. Each activity is designed to take no more than 10 minutes, and can be completed when the learner has time in their schedule. An assessment is given at a pre-determined time to ensure learners have gone through the entire course. Breaking content down into multiple activities increases the total learning time. 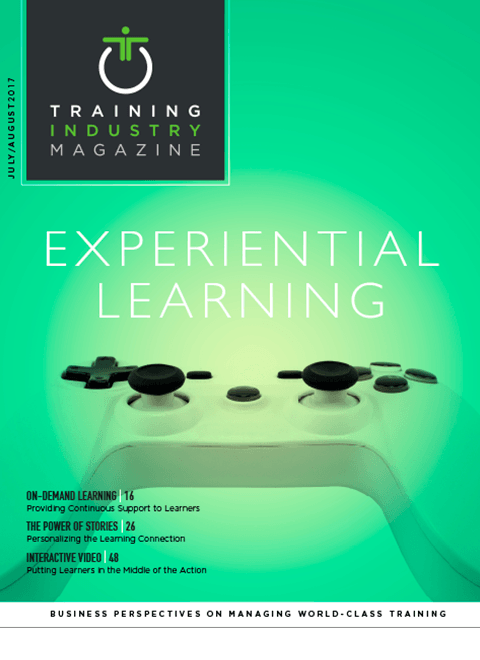 However, by designing each activity to be a micro, standalone event, the learner no longer feels they are a captive audience, which reduces their frustration with the length of the course. These are just two examples of how microlearning could be used. Regardless of how you incorporate this approach, there are a few guidelines to consider for microlearning to be a success in your organization. Time Limits: Keep the overall learning time for each activity to no more than 5-10 minutes, depending on the activity type. For example, for a reflection question that requires critical thinking to form a response, you should estimate about 10 minutes, depending on the complexity of the question. However, if you are creating a video clip, 10 minutes can seem like an eternity. It’s best to keep those activities to two to three minutes. Tangible Outcomes: Be clear on what you expect learners to get out of the exercise, and provide more background than just the learning objective. Give an example of how the learning can be applied on the job. Ask learners to consider how they will use the information while they are participating in the course. Set Expectations Upfront: Clearly label each activity with the estimated time it will take the learner to complete the exercise. If the activity requires a specific learning environment or materials, be sure the learner is aware of this before they start the program. Accessibility: Allow for easy access to the content and multiple viewings. Microlearning does not always facilitate knowledge retention, but it can be used to provide access to specific information at the time of need. Alternative Solutions: Recognize when microlearning is not an appropriate solution. Although this method has many uses, there are times when it is not the best approach. If an in-depth training workshop is required for the initial introduction of content, consider using microlearning as a follow-up approach, to remind learners of key concepts covered during the course. Microlearning is an effective approach when used appropriately. Even though content is bite-sized, it still requires careful planning, and a focus on the overall learner experience for it to be successful. The modern learner utilizes microlearning every day, whether they realize it or not. As L&D professionals, we have an opportunity to take advantage of this natural learning style to reduce frustration and increase engagement within our learning audience. Microlearning can reduce learner frustration and decrease time for on-the-job application. Daila Boufford is the manager of learning design at ansrsource. She has more than 15 years of professional experience in client service and research, content development and instructional design.